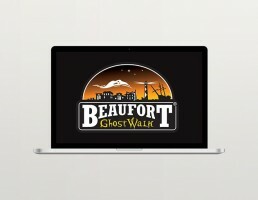 The Beaufort Ghost Walk had just come under new management, when the new owner approached Z Digital Studio looking to freshen up the brand with a great new logo. 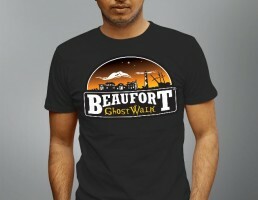 He had lots of great ideas and gave a lot of valuable input during the logo creation process. 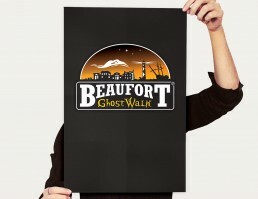 The end result incorporated many elements from the Tour’s highlights, and at a glance, one is able to get a feel for what the Beaufort Ghost Walk is all about.